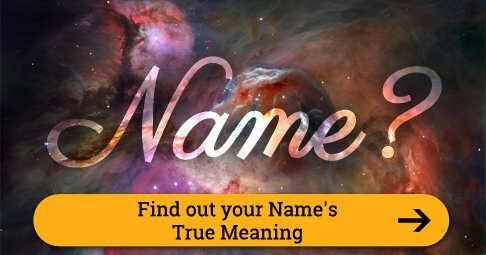 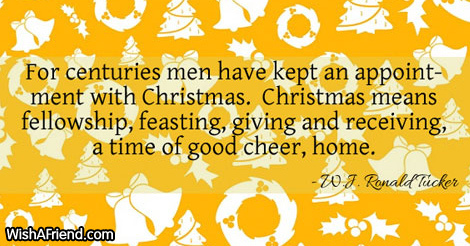 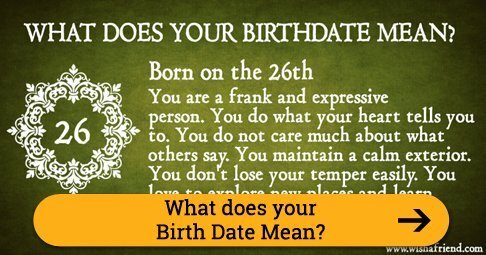 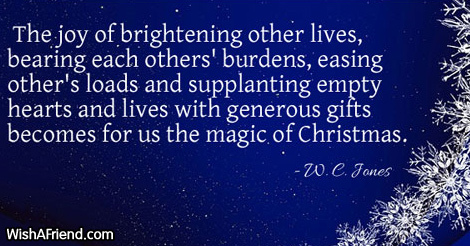 Find and share Religious Christmas Quotes with your beloved ones via Text/SMS, Email, Facebook, Whatsapp, IM or other social networking sites. 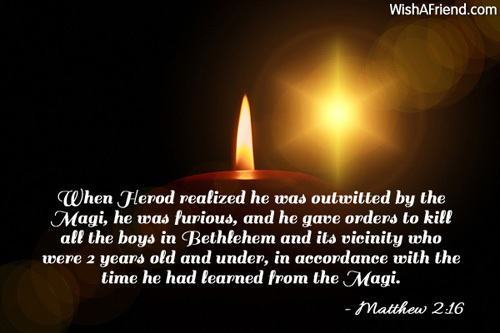 When Herod realized he was outwitted by the Magi, he was furious, and he gave orders to kill all the boys in Bethlehem and its vicinity who were 2 years old and under, in accordance with the time he had learned from the Magi. 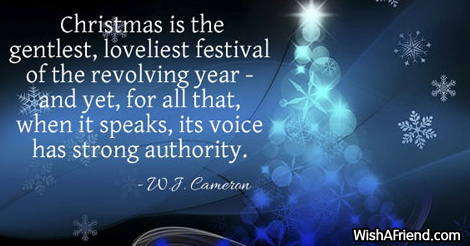 "Christmas is the gentlest, loveliest festival of the revolving year - and yet, for all that, when it speaks, its voice has strong authority." 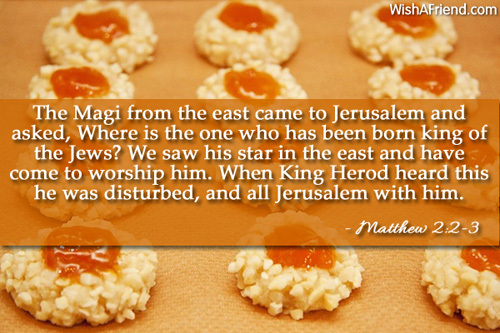 The Magi from the east came to Jerusalem and asked, Where is the one who has been born king of the Jews? 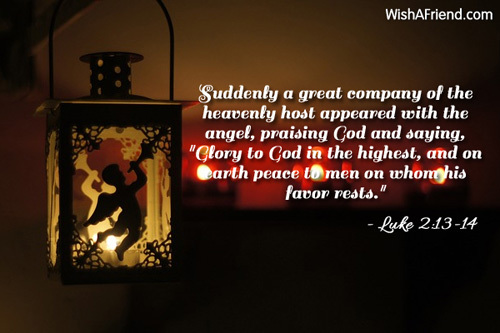 We saw his star in the east and have come to worship him. 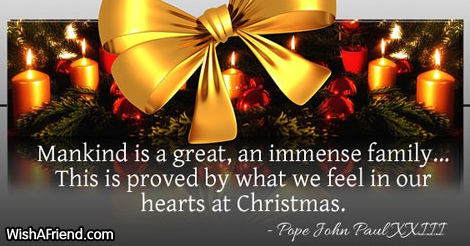 When King Herod heard this he was disturbed, and all Jerusalem with him. 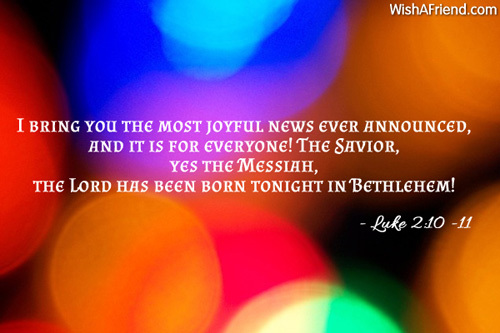 I bring you the most joyful news ever announced, and it is for everyone! 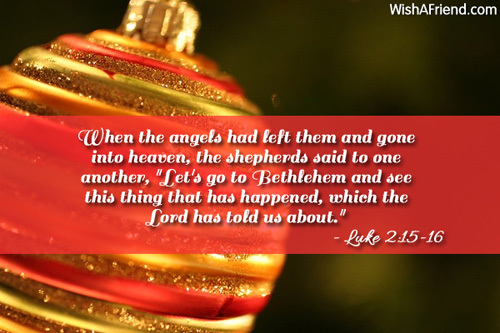 The Savior, yes the Messiah, the Lord has been born tonight in Bethlehem! 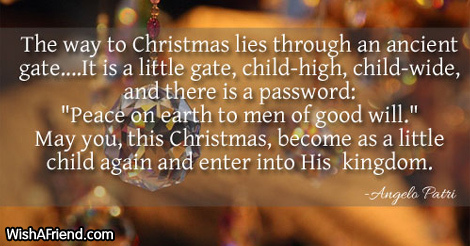 "The way to Christmas lies through an ancient gate....It is a little gate, child-high, child-wide, and there is a password: 'Peace on earth to men of good will.' 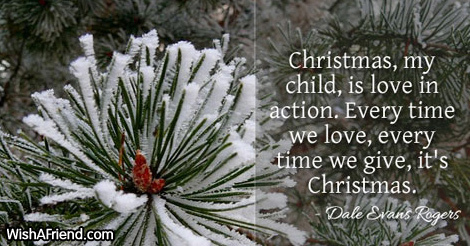 May you, this Christmas, become as a little child again and enter into His kingdom." 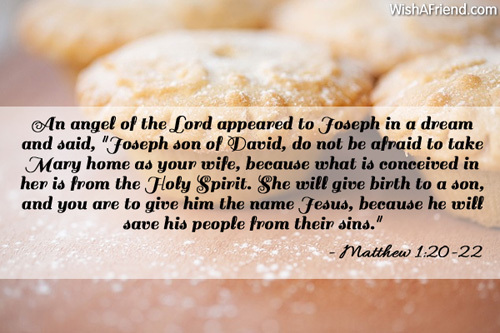 An angel of the Lord appeared to Joseph in a dream and said, "Joseph son of David, do not be afraid to take Mary home as your wife, because what is conceived in her is from the Holy Spirit. 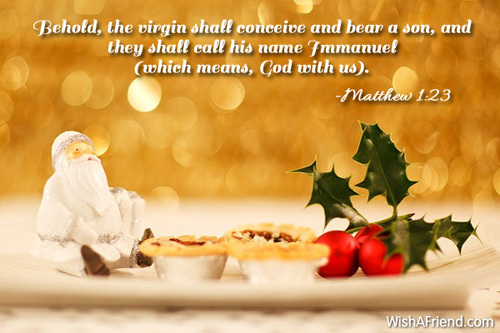 She will give birth to a son, and you are to give him the name Jesus, because he will save his people from their sins." 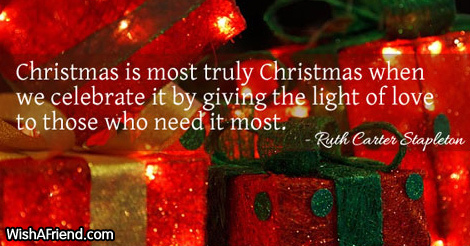 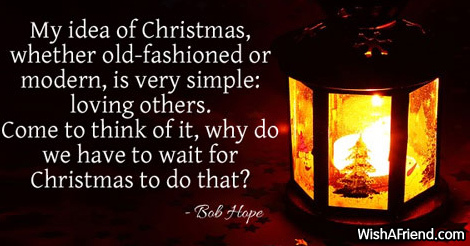 "Christmas is most truly Christmas when we celebrate it by giving the light of love to those who need it most." 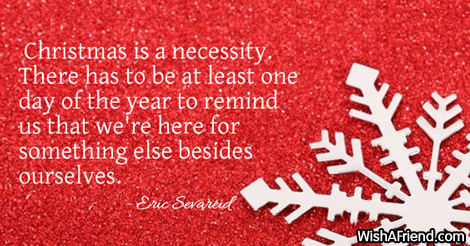 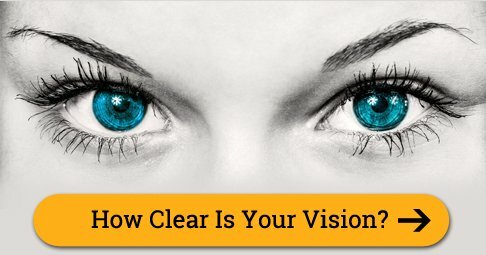 I see him, but not now; I behold him, but now near. 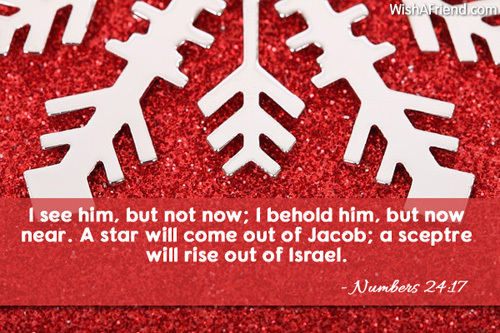 A star will come out of Jacob; a sceptre will rise out of Israel.